JERSEY CITY, NJ – 400 Claremont Urban Renewal LLC, the development entity which recently purchased a 2.73-acre site near the West Side Avenue Light Rail station in Jersey City, released new details today of its vision for the property. Plans call for a six-story building with 598 luxury rental residences, 25,000 square feet of indoor and outdoor lifestyle amenities, and 15,000 square feet of street-level retail space, including a restaurant. A mix of studio, one- and two-bedroom residences are planned, as well as 200 enclosed parking spaces and six electric car-charging stations. Located at 400 Claremont Avenue, the project represents a major investment in Jersey City’s west side. 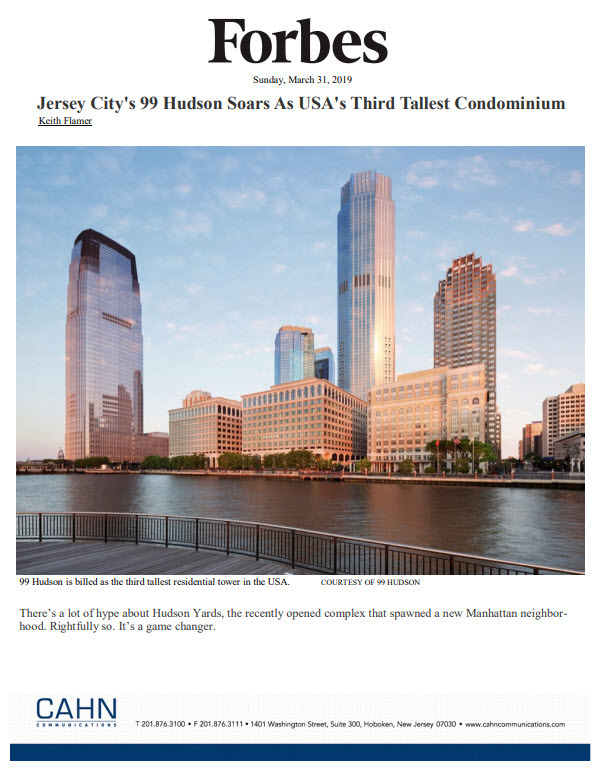 The property is situated diagonally across the street from the West Side Avenue Light Rail Station and just three blocks from New Jersey City University. Johnson and his development team have a strong track record for supporting emerging neighborhoods on Jersey City’s west side. The group most recently developed and leased up 25 Senate Place, a 265-unit luxury rental building across from MANA Contemporary in Journal Square’s burgeoning arts district. At 400 Claremont Avenue, commuting convenience and resident interaction will be top of mind. Residents will enjoy direct access to the Light Rail, which connects to the PATH system and ferry terminals with service to Downtown and Midtown Manhattan, as well as access to three planned resident shuttles that will travel to the PATH station every 12 minutes. They will also enjoy a full array of forward-thinking lifestyle amenities and programmed spaces to create an energy-infused, socially-interactive environment. The six-story building, designed by Marchetto Higgins Stieve Architects, will feature a hotel-style lobby with seating areas and a full-size piano. One side of the lobby will open to a restaurant space, while the other side will offer a coffee bar/café where residents can relax, meet with friends, or work remotely. Additional indoor amenities include a fitness center, golf simulator, a residents’ lounge with a bowling alley, shuffleboard and large-screen TVs; a communal kitchen, and bicycle storage and a bike repair station. A concierge will be available to assist residents, and an onsite activities director will be on staff to plan and coordinate events. Outdoors, residents will enjoy an expansive landscaped rooftop featuring seating areas, grilling areas, gas firepits, a dog run, and a community garden that will, in part, service the restaurant and communal kitchen. In addition, the building’s design will create three distinctive courtyards, one with a pool, cabanas and seating areas; another focusing on sports, and a third for passive contemplative activities, including Yoga and other classes. Demolition of the site’s current structures are underway, with construction expected to begin within the next few months, pending all required city approvals. ← LESS THAN TEN HOMES REMAIN IN FIRST HOUSING PHASE AS BUYERS RESPOND TO EAST GATE IN OCEANPORT, N.J.